Clicking on a book title will take you to that book on Amazon.com where you will find the list price, the price you will pay, how many $$$ you will save, how fast you can get it and if you choose, you can add it to your shopping cart and purchase the book. Before Your Wedding - Laura Nielson Denke - This book is a complete do-it-yourself premarital counseling course in 12 dates for any couple that is thinking of getting married. 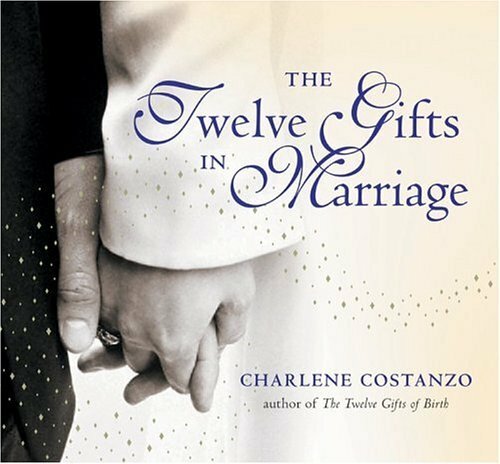 The Twelve Gifts in Marriage - Charlene Costanzo - Anyone who's ever said "I do" knows that a successful marriage takes commitment, hard work, and patience. Marriage is a journey, one that requires a couple to use all of their inherent gifts if they are to steer a true and steady course. This beautifully illustrated keepsake book from the author of The Twelve Gifts of Birth and The Twelve Gifts for Healing offers hope and inspiration to readers, whether they are newlyweds or couples celebrating a Golden Anniversary. NOTE: Larry James and Sandy Charveze, were models for one of the gifts in "The Twelve Gifts in Marriage." A Wedding to Remember: The Essential Guide to Your Dream Wedding - Matt Callen - Learn the secrets to planning the wedding of your dreams. You'll be amazed with the beauty and ease of having the wedding of your dreams without the extra costs of hiring a Wedding Planner. Find out how you can save money and attain your fairytale wedding! Comes with a 100% money-back guarantee. Larry's Review: This eBOOK is instantly downloadable and covers everything from A to Z that you need for planning your wedding! The tips and checklists are invaluable. Highly recommended. Intimate Weddings: Planning a Small Wedding that Fits Your Budget and Style - Christina Friedrichsen - This book shows you how to plan a wedding that's small in scale but full of your personality and style. With a small wedding, you can gather the most important people in your life into a meaningful setting filled with unique touches that will make yours a truly memorable wedding celebration. Larry's Review: On a tight Wedding budget? Lots of great ideas. Worth reading. The Smart Couple's Guide to the Wedding of Your Dreams: Planning Together for Less Stress and More Joy - Judith Sherven & James Sniechowski - Each year, millions of couples wed, and millions of relationships - involving brides, grooms, families, and friends-are undermined by power struggles, fights, and stress before the big event arrives. Written specifically for the couple, this book encourages and supports both the bride and groom in exploring their deepest dreams for what they want throughout their entire wedding journey. Larry's Review: As a Wedding Officiant, I can guarantee that Judith & Jim hit the "Dream Wedding" target dead center. I am pleased to recommend this book to every couple whose ceremony I perform. The perfect gift for the Bride and Groom. 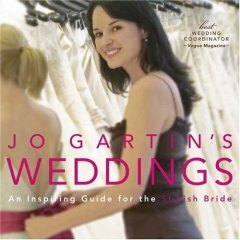 Jo Gartin's Weddings: An Inspiring Guide for the Stylish Bride - Jo Gartin - The author, listed by Vogue magazine as "Best Wedding Coordinator," is a regular contributor in many magazines, including Self, Lucky, and Women's Wear Daily. She is a regular contributor to InStyle and InStyle Weddings. A former model, this Australian style maven has blessed brides with a fresh and much needed twist to the traditional wedding celebration. 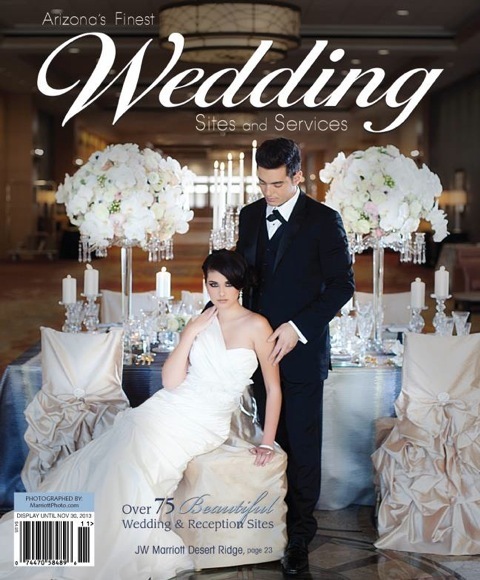 Larry's Review: Weddings A to Z. The breathtaking photos in this book highlight the stylish advice and numerous wedding ideas. A great gift for any bride. To Have and to Hold: Poems, Blessings, and Wishes for Newlyweds (Faithwords) - June Cotner - June highlights the unique needs and desires of newlyweds, featuring words that communicate the love, laughter, and understanding essential to building a successful union. Carefully arranged prayers, spiritual poetry, and reflections will bring comfort and encouragement to newlyweds as they embark on new journeys together. Larry's Review: Lot of terrific ideas for adding something special to your wedding ceremony. One of the better books for readings. For more ideas, click here! Thinking of cheating? Before you do. . . read the following book! Beyond the Wedding Vows : Circumstances, Choices, Consequences of an Extramarital Affair - Carmella Antonino - A brilliant, non-judgmental guide for women caught in the dark side of marriage. Carmella explores, explains and exposes the myths of marriage, extra-marital affairs and the everlasting effects of going beyond the wedding vows. Larry's Review: No psychological jargon here. Just the facts. Highly recommended. Stay tuned. . . More great books are being reviewed for Larry's book store! There are currently 7 book shelves! 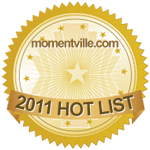 Browse & enjoy!